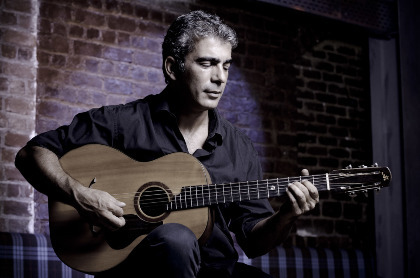 Dimitris Mystakidis is a famous Greek folk guitar (a type of acoustic guitar, similar to parlor) virtuoso, who for the last 20 years has pursued his personal quest investigating the roots and branches of rembetiko. Rembetika is the original urban underclass music of Greece, which was at its creative zenith from the 1920s to the 1950s. It’s also known as the “Blues of Greece” but rembetiko is beyond a genre of music; rather it is a state of mind. Culture, tradition and expression of social concerns are combined to form the lines and ideas behind the rembetiko song. The rembetika songs, which were written in the margins of society, are similar in this respect to those of fado, flamenco, and tango, and the American blues. Listening to Rembetika is an unforgettable experience and, importantly, a terrific way for guests to learn about Greek culture.